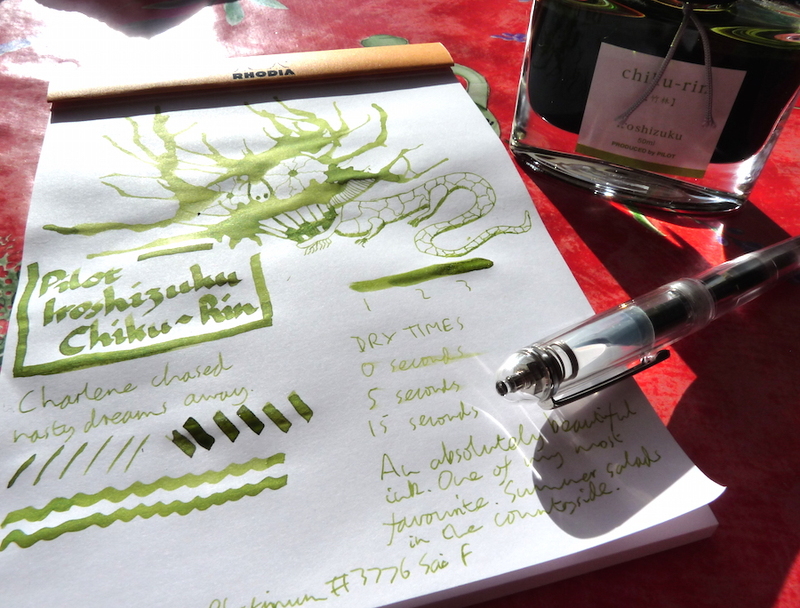 Pilot Iroshizuku Chiku-Rin Ink Review – Pens! Paper! Pencils! This is a beautiful green. The name means Bamboo Forest but for me this colour conjures up freshly cut grass or, because everything reminds me of food, a lovely salad on a hot summer’s day. I really do love this ink. It dries quickly, has a lot of shading, and is a gorgeous colour. I love it so much it might actually be my favourite. Not just my favourite green, my favourite ink overall. Even more favourite than all my orange inks. 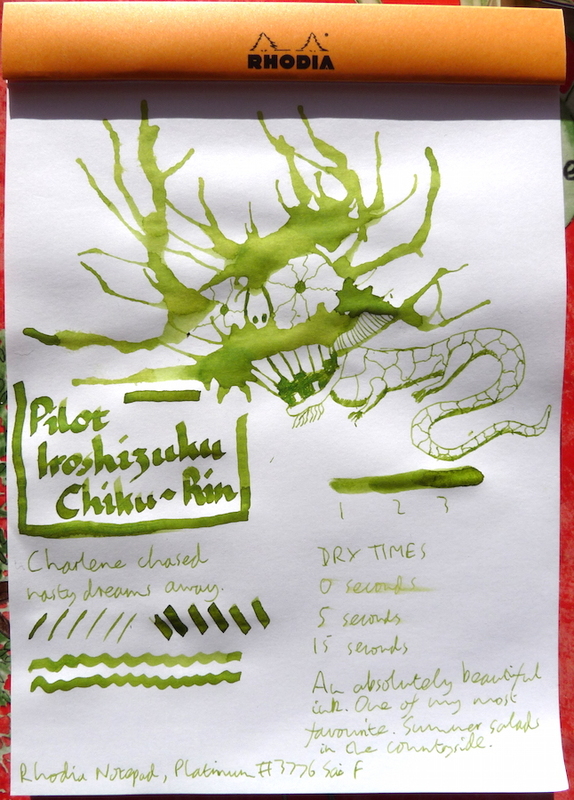 You can find some more reviews of Pilot Iroshizuku Chiku-Rin on Pennaquod.